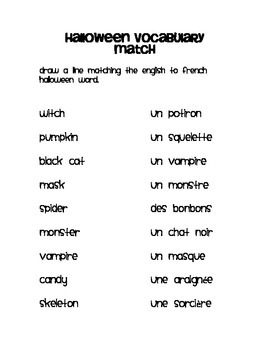 This one page sheet is a freebie to go with my English-French Halloween pumpkin match. witch, pumpkin, candy, mask, skeleton, monster, black cat, spider and vampire. 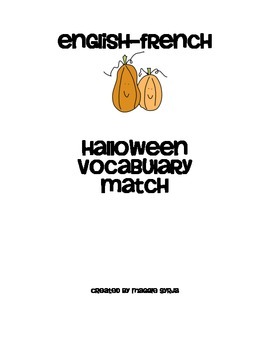 This activity can be used as a quick assessment tool after teaching and playing with the vocabulary matching cards.